We’d love your help. 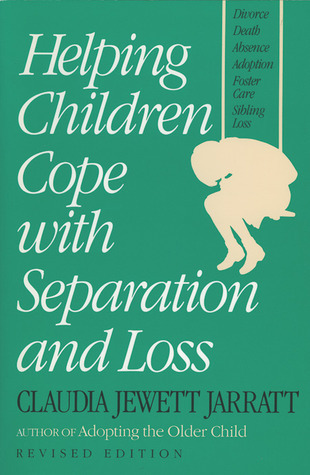 Let us know what’s wrong with this preview of Helping Children Cope with Separation and Loss by Claudia Jewett Jarratt. A compassionate, step-by-step guide to help children cope with and recover from any kind of loss. To ask other readers questions about Helping Children Cope with Separation and Loss, please sign up. Slightly dated, but I plan on using a few of the approaches in this book with my kids, especially those dealing with drawing out the icky feelings.